Mystery, Music, Passion... and Wins! 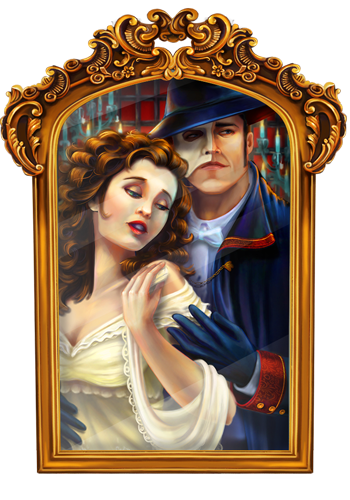 One of the greatest love stories ever told unfolds in the hall of the Palais Garnier Opera House. 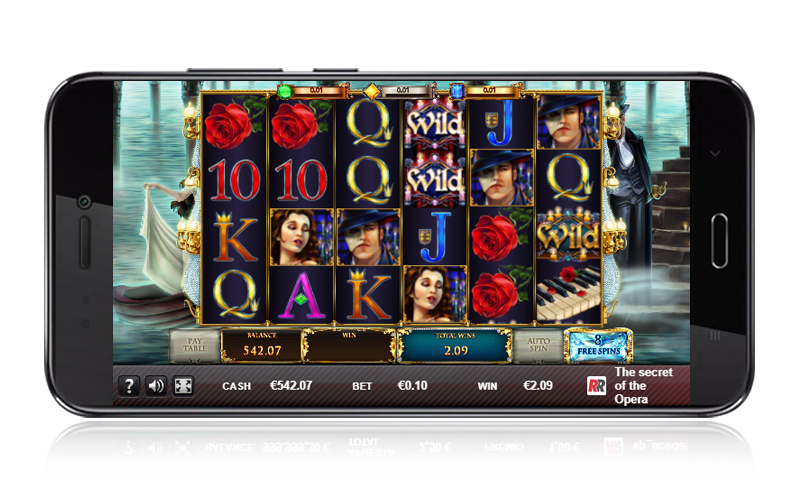 Join Christine and the Phantom in this 50 paylines, 6x4 reels slot filled with exhilarating music and big prizes. 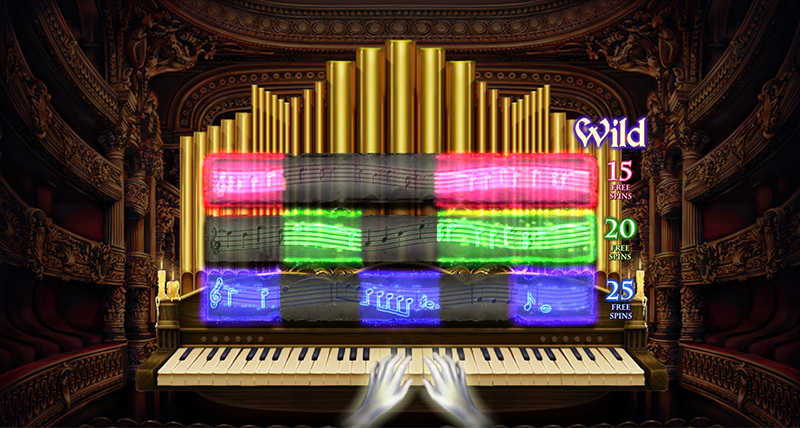 Make the most of the 'Moving Wild Reels' and use the pipe organ in the 'Great Overture Bonus' to accumulate spins for the 'Free Spins Bonus Feature'. 6x4 reels with 50 paylines. 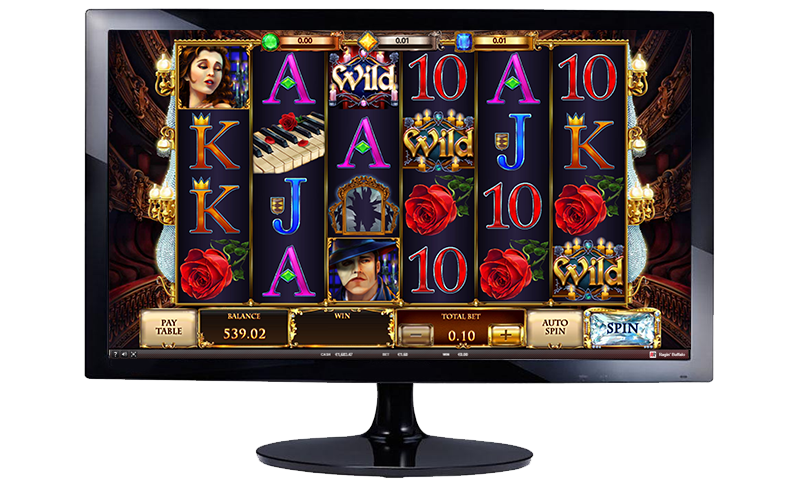 Free spins bonus feature with 'Easy Retriggers', along with the 'Love Retrigger'. 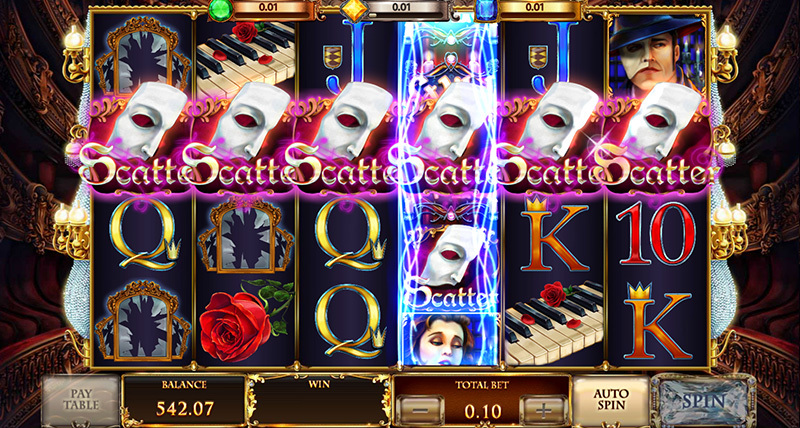 Get 3 to 6 Scatter symbols anywhere on the reels. 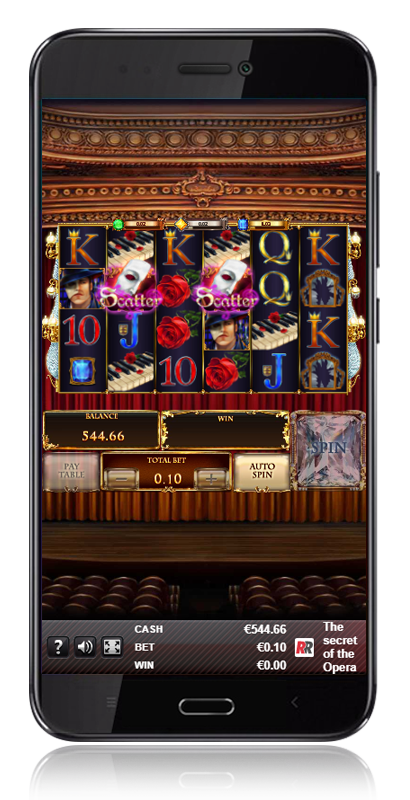 Get up to 25 free spins with 'The Great Overture Bonus Minigame'. 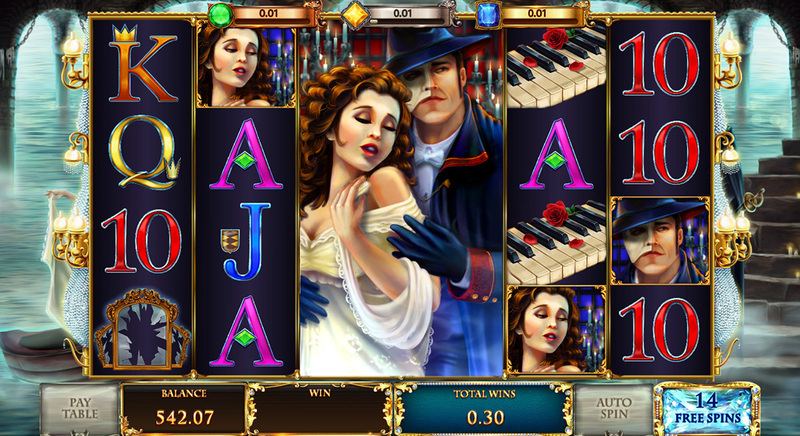 During the 'Free Spins Bonus Feature', the Christine and Phantom symbols fill all the reel in which they appear. If they appear separated in any reel, each appearence awards a free spin.